Despite continual growth in awareness and access, society still harbors many myths about hospice and the care it provides. These misconceptions contribute to the underutilization of hospice services. This is unfortunate because many patients with life-limiting illnesses could benefit from expert pain and symptom control, as well as the emotional, social, and spiritual support that hospice care can provide. Learn the truth behind four common hospice myths that contribute to the stigma surrounding this form of end-of-life care. Many people mistakenly believe that patients who choose to enter hospice have given up hope, but the truth is that those facing a life-limiting illness or terminal disease have chosen to redefine their hopes. Where a patient once hoped for a cure, he or she might now hope to live pain-free. For other hospice patients, hope might mean seeing a distant friend or relative one last time or taking a trip to the beach. For still others, hope could be as simple as wanting to spend as much time with loved ones as possible or remaining at home rather than going to the hospital or a nursing home. Hope looks different in hospice care but it is certainly not lost. A hospice caregiving team can help patients accomplish tasks, fulfill wishes, and maintain hope during their remaining time. A do-not-resuscitate (DNR) order is one of the several legal documents people use when establishing their advance healthcare directive. A DNR means that you do not want to be resuscitated via cardiopulmonary resuscitation (CPR) or other means should your breathing cease or your heart stop beating. 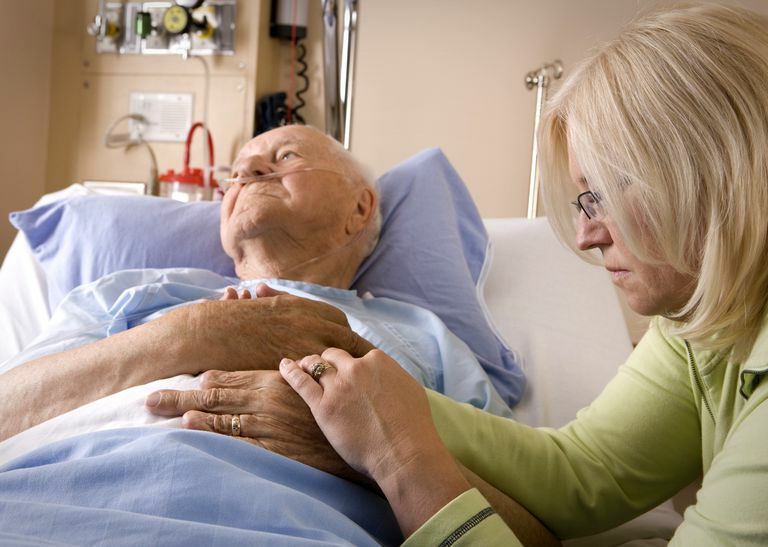 Signing a DNR is not a requirement to receive hospice care, however. While many hospice patients elect to have a DNR in place, a DNR is not the right choice for everyone. As of 2015, nearly three-quarters (72.3 percent) of patients were admitted to hospice with non-cancer primary diagnoses. This means that only a little more than one-quarter (27.7 percent) of hospice patients had a primary diagnosis of cancer. Some of the most common non-cancer diagnoses in a hospice in 2015 were heart disease (19.3 percent), dementia (16.5 percent), lung disease (10.9 percent), and stroke or coma (8.8 percent). While hospice case manager nurses and other caregiving professionals are very skilled at managing the symptoms of cancer, they are equally skilled at managing the symptoms of many other forms of chronic illness. In 2015, the median length of service for hospice patients was 23 days. This means that of the estimated 1.6 to 1.7 million patients who received hospice services that year, half received hospice care for less than 23 days, and the other half received it for longer than that. In fact, the average number of days a patient received hospice care in 2015 was 69.5 days. The dying process takes time. Because of the highly skilled care that hospice workers can provide to their patients, hospice proves most effective when the caregiving team has time to deliver it. Patients and their loved ones need support, information and medical care. Social workers and chaplains need time to work with patients and their families to bring them to a place of acceptance. Nurses and doctors need time to optimally manage the patient's symptoms. Removing the stigma surrounding hospice and redefining end-of-life care is essential to the future of healthcare. By 2060, the number of people age 65 or older in the United States is projected to reach 98.2 million, which will be roughly one in four Americans. That means more people will be living with chronic, life-limiting illnesses and require expert end-of-life care. Dispelling these four hospice myths can help bring us closer to providing high quality, skilled care to all patients who need it at the end of life. NHPCO Facts and Figures: Hospice Care in America. 2016 Edition. National Hospice and Palliative Care Organization. Older Americans Month: May 2015. U.S. Census Bureau.